A flash of green and yellow goes by so quickly the colours merge and there is no time to identify the colourful passer-by: a Siskin, a pair of Goldfinches, a Serin? It is a Greenfinch. Resident all the year in Spain, the male’s summer plumage [below, top] is brilliant. 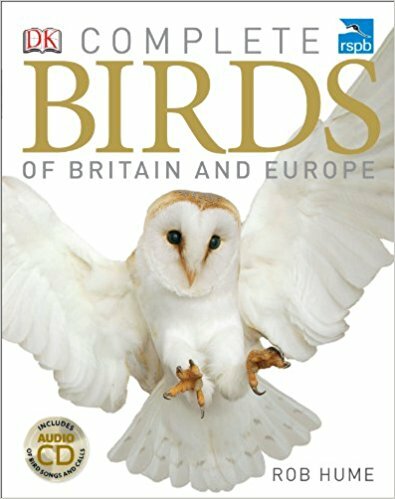 The female [below, bottom] is disappointingly dull. 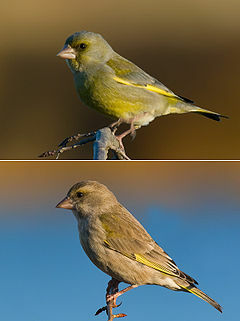 Seen often in flocks, Greenfinches fly up together all of a rush. They are fast fliers, with quick bursts of speed and following an undulating path. 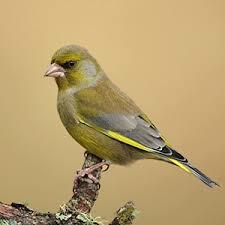 Listen to the song of the Greenfinch and read more about it at the RSPB website. This entry was posted in Nature and tagged Andalucia, birds, nature, Sandra Danby, Spain on September 3, 2016 by sandradan1.